I want to let everyone know that we’ve just opened up registration for our Summer 2016 LTS programs. Our summer youth programs are open to youth aged 8 – 17. They are open to member and non-member alike, with a discount for club members – who need to provide their membership number as part of the on-line registration. Like last year, we are running a wide range of courses from New to Sailing (CanSail1) all the way to our provincially competitive Race Team. As well, I highly recommend our Saturday Spring Tune Up Saturdays (CanSail 3 and up only) to everyone in order to get a jump on summer. Most of our amazing instructors and returning and we are planning a great, fun-filled summer! Last year registration for all of our youth programs filled up quickly and despite renting extra boats, we had to turn people away. I recommend registering early, to guarantee getting the sessions you want. LTS is a source of revenue for our club, so please recommend the program to anyone who might be interested! Registration for Youth program is here. QCYC LTS also runs great adult programs for adults 18 and up. We run weekend CYA keelboat Cruising courses and weeknight CYA dinghy courses. We will run the keelboat courses three times over the summer. The keelboat courses are taught by Scott Forbes, utilize a beautifully maintained Shark, and take place over two weekends. This course sold our long before the summer last year and got rave reviews for the attendees. Register early! We are putting some extra spit and polish into our long-running weeknight dinghy courses. These are taught in our 420 fleet by experienced CYA instructors. Think about these courses for yourself and recommend them to your friends. 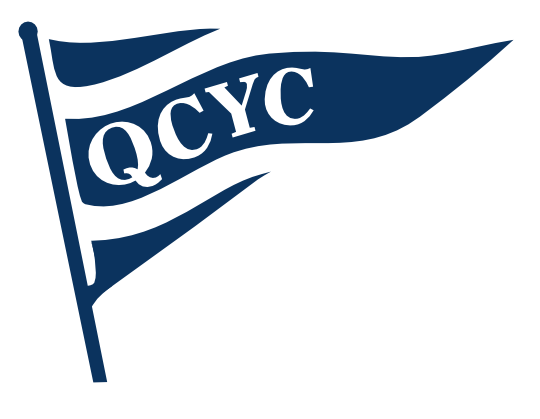 After all, there is no better way to get that summer vibe than to get on the QCYC tender and head out to the island for some fun and social sailing! If you have any questions, let me know. I’m always happy to discuss sailing!